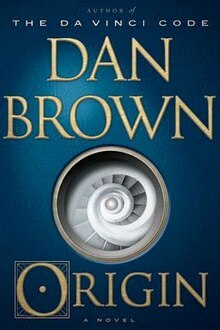 Dan Brown writes another in the Robert Langdon series following on from Angels & Demons, The Da Vinci Code, The Lost Symbol, and Inferno. The billionaire is a futurist who puts forth incredible high-tech inventions and who makes spectacular predictions. The event turns to chaos and Kirsch’s controversial discoveries are at risk of being lost. Langdon is shocked and is forced to escape Bilbao with Ambra Vidal, the director of the museum who worked with Kirsch to organise the event. In search of a secret password that will unlock Kirsch’s secret, they escape to Barcelona. Two world religious leaders, Jewish Rabbi Yehuda Köves, and Islamic Imam Syed al-Fadl are killed. Langdon is under constant threat from fanatics and an enemy that will not stop. The Spanish throne is implicated in this race to uncover Kirsch’s incredible discovery. Dan Brown is a highly inventive writer and Origin is sure to be another success.